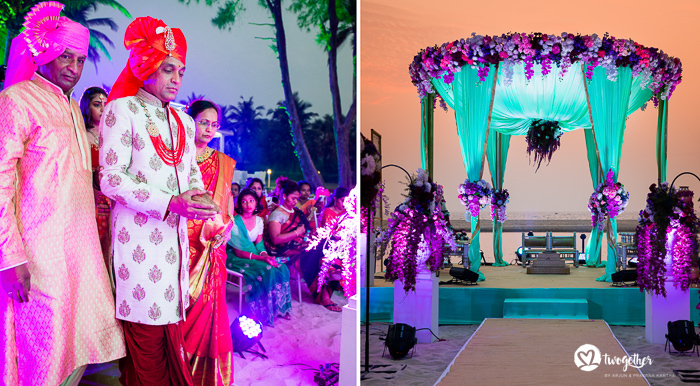 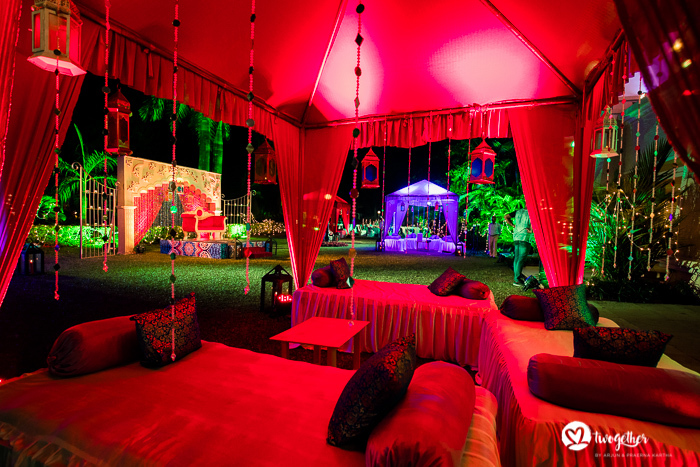 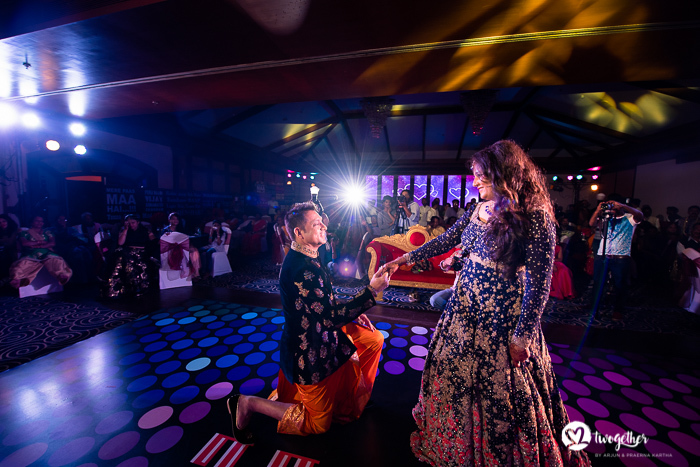 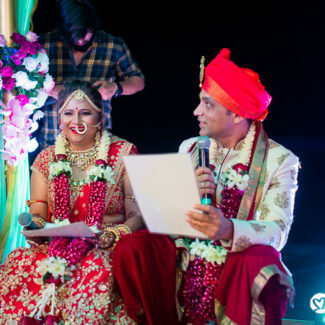 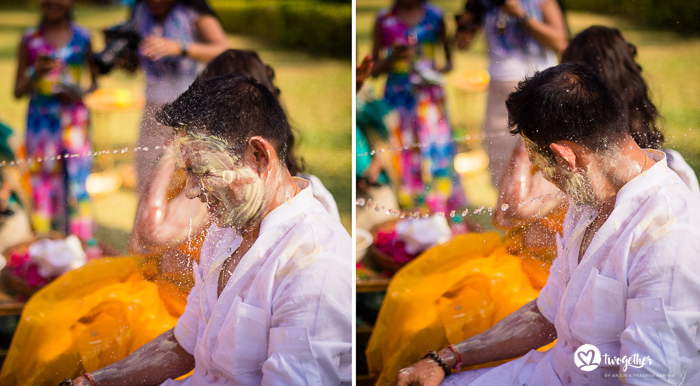 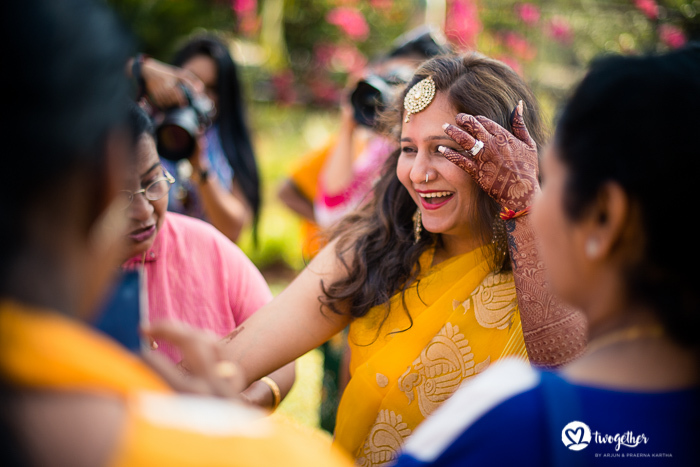 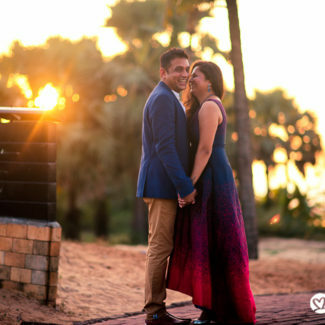 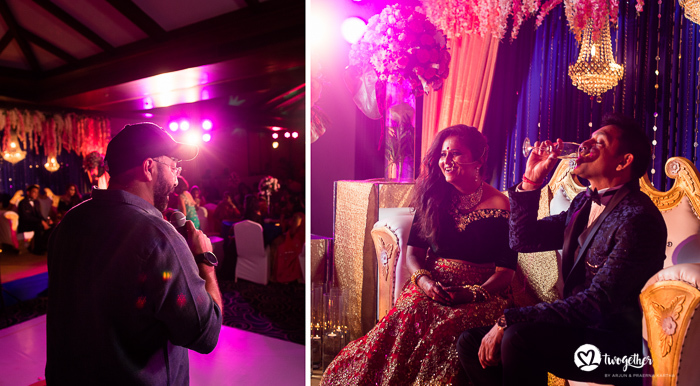 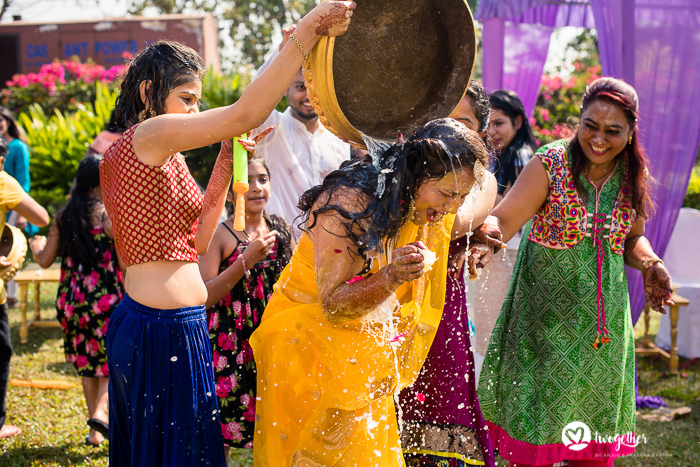 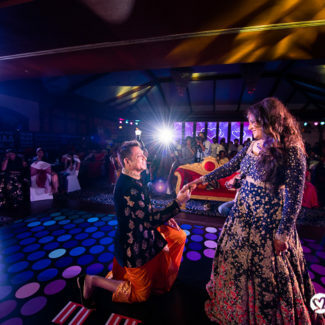 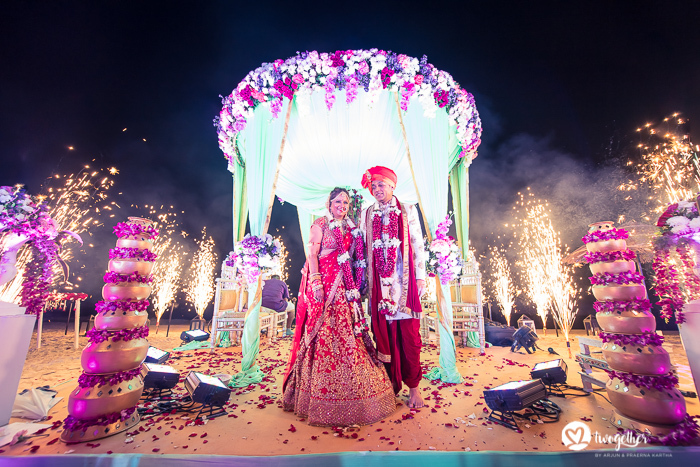 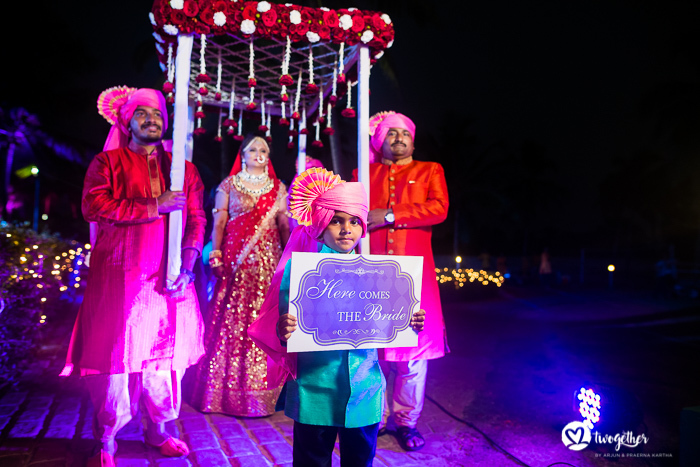 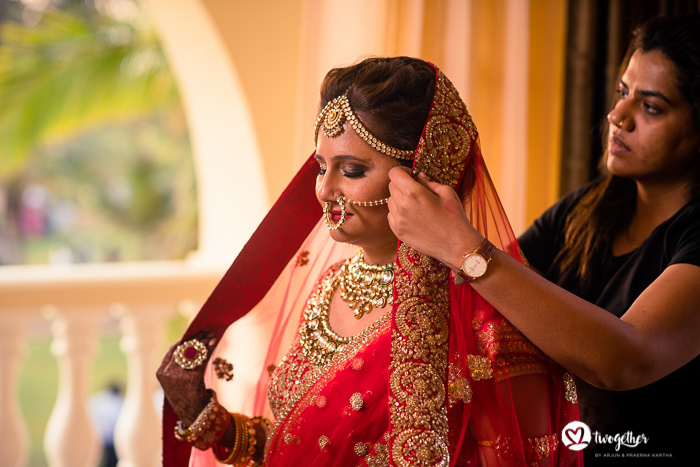 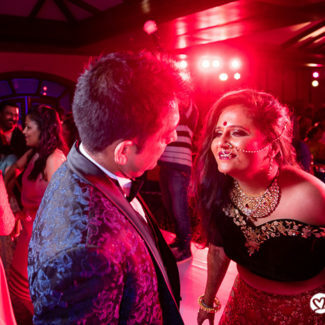 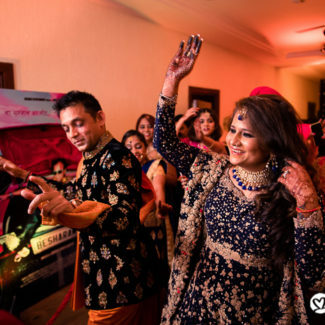 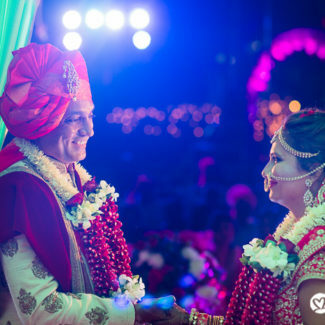 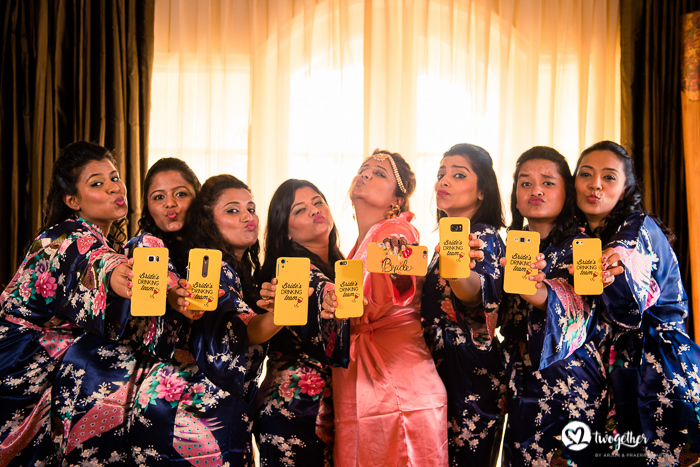 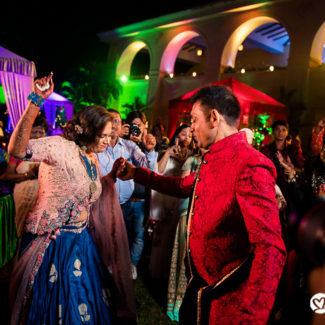 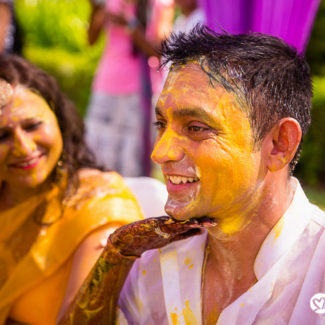 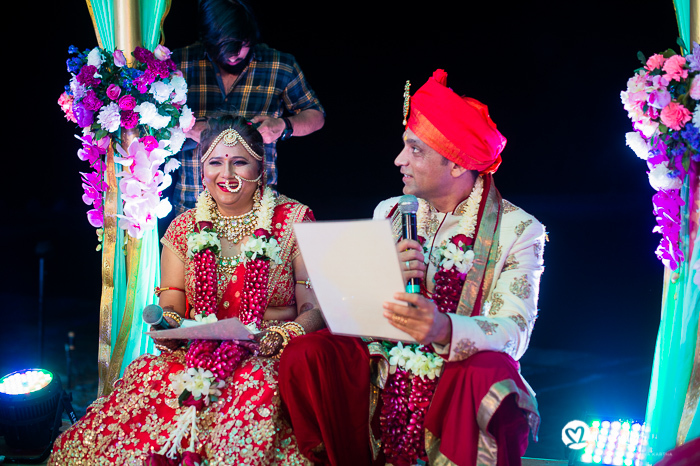 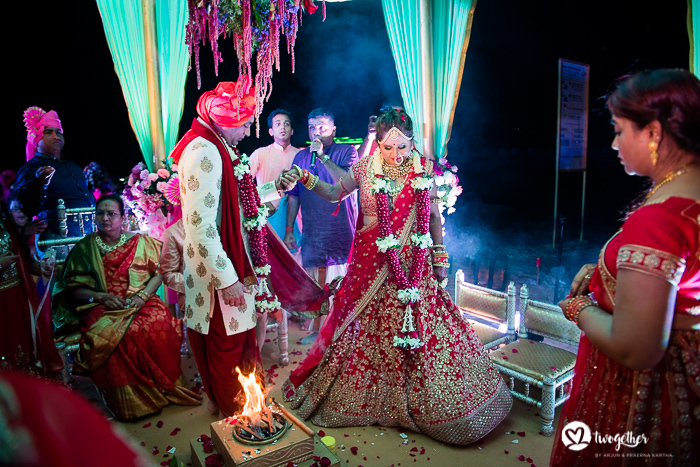 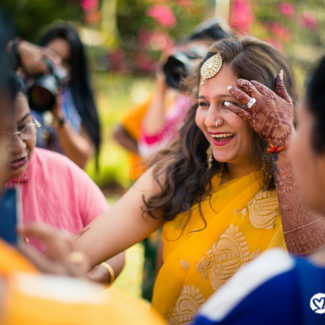 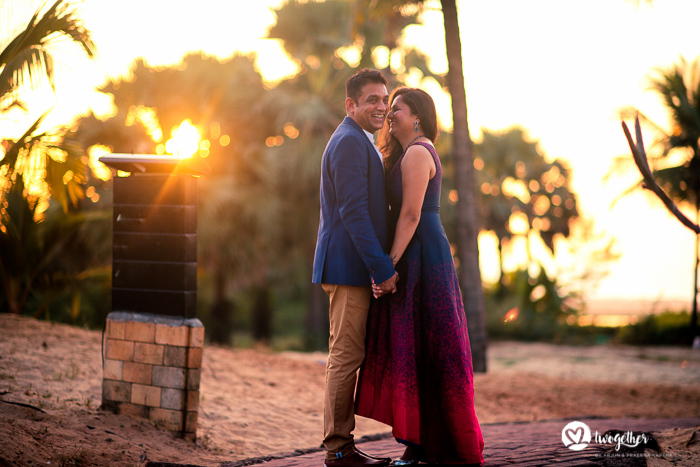 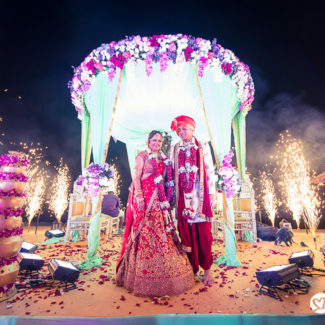 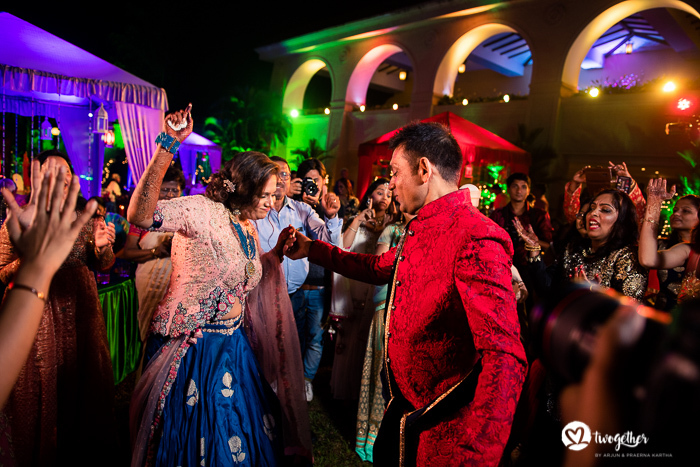 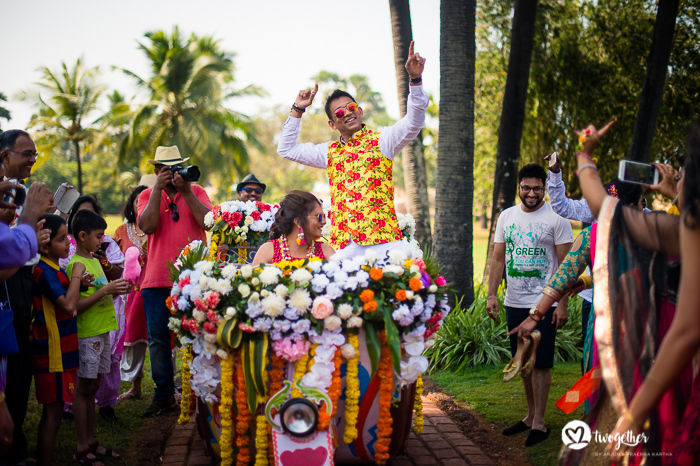 Ramola and Santosh had a beautiful, fun, warm and intimate wedding in Goa a few months ago. 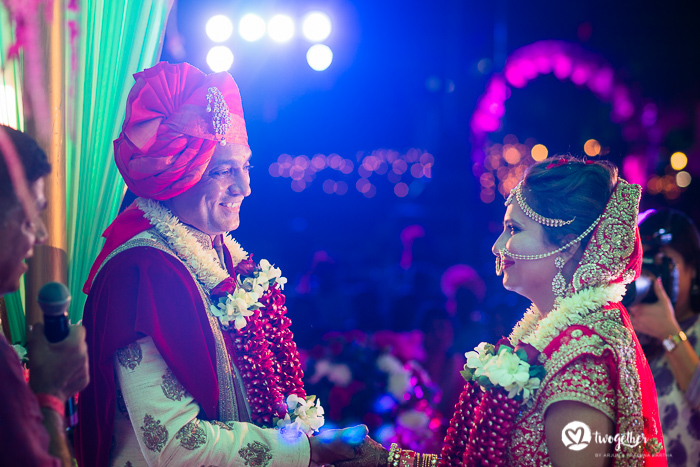 They are such a lovely couple that we were very excited about being a part of their big day. 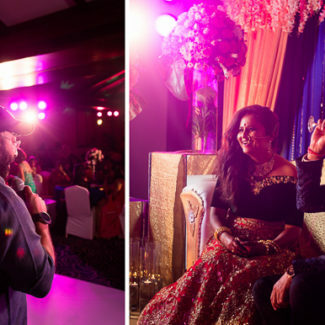 Ramola knew Arjun in a professional capacity 10 years ago. 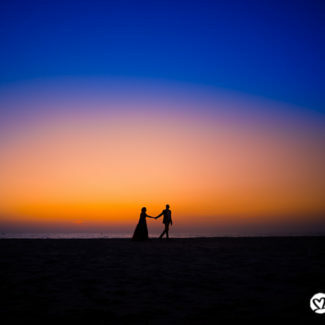 When we broke away from our 9-5’s and decided to take wedding photos for a living, she told him that she has no idea when she will get married but she had already decided that we would shoot her wedding, wherever it may be. 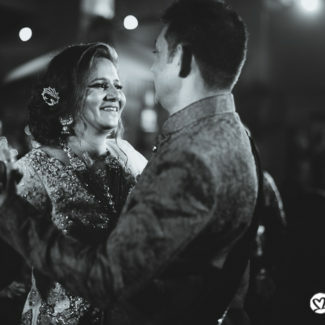 It was so humbling to hear a statement like that and we are so glad that a couple with such beautiful hearts wanted us to capture the most important day of their lives. 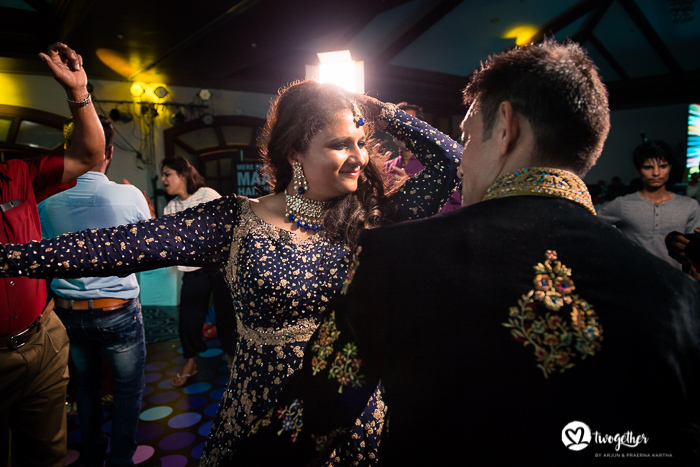 Ramola first met Santosh at work, when she moved to Dubai for a job opportunity. 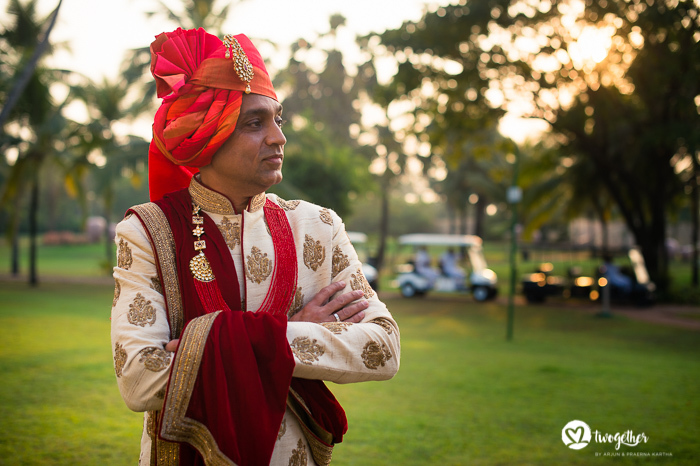 Santosh was quite a taskmaster, a workaholic who expected the very best from everyone around him. 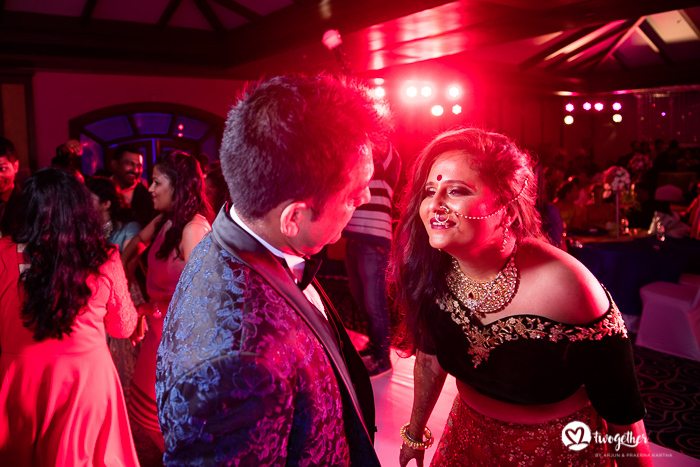 But somewhere along the way, they became friends and then more. 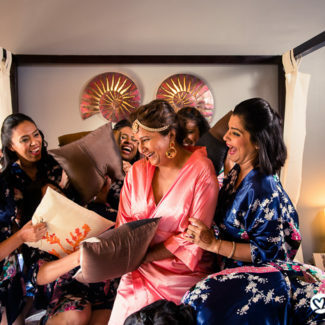 As she tells it, the first birthday Ramola spent in Dubai was one of the early special memories she has of Santosh and it may well be the turning point! 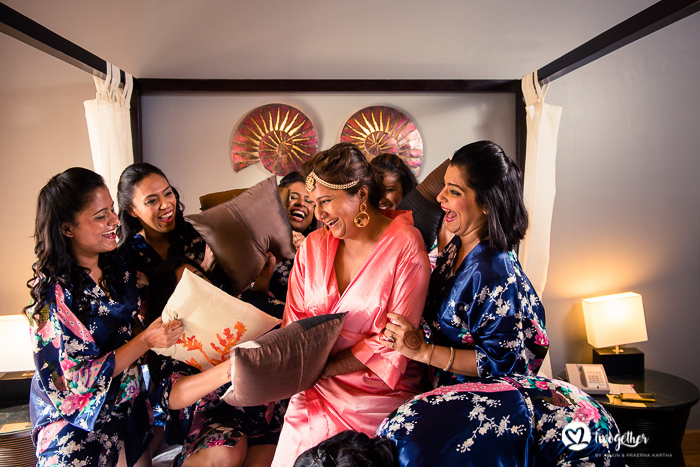 Away from home, her family and friends, Ramola spent an unhappy birthday at work, dreading going home to an empty apartment. 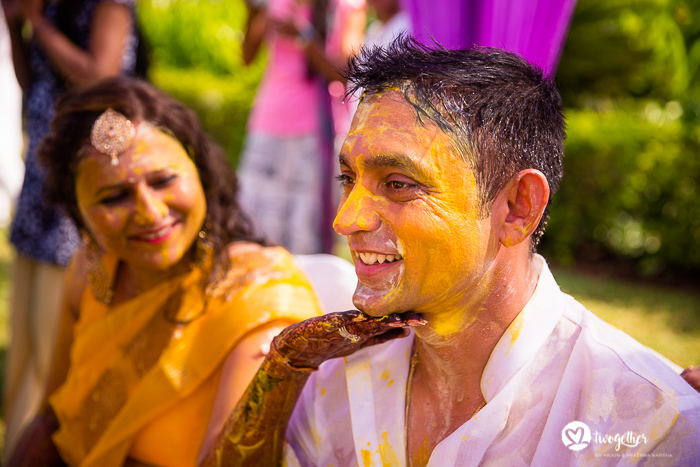 But when she came home to find a surprise birthday cake from Santosh, it turned her day around! 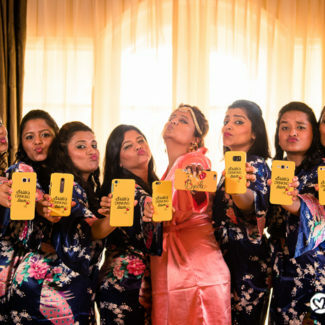 I guess there was no going back from there. 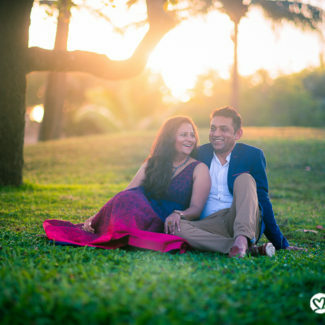 Both Ramola and Santosh are very close to their families. 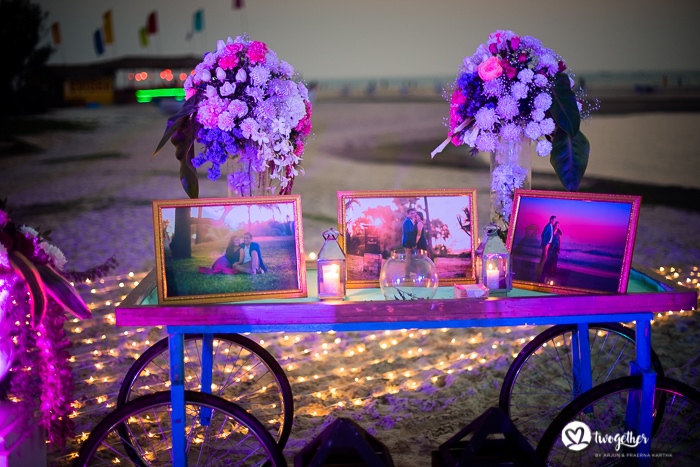 They wanted to have a wedding where everyone close to them could attend and be a part of their celebration. 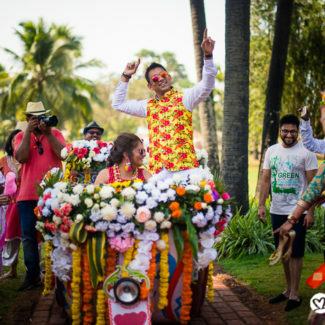 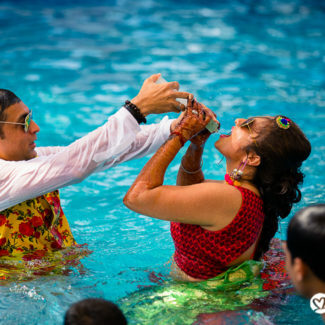 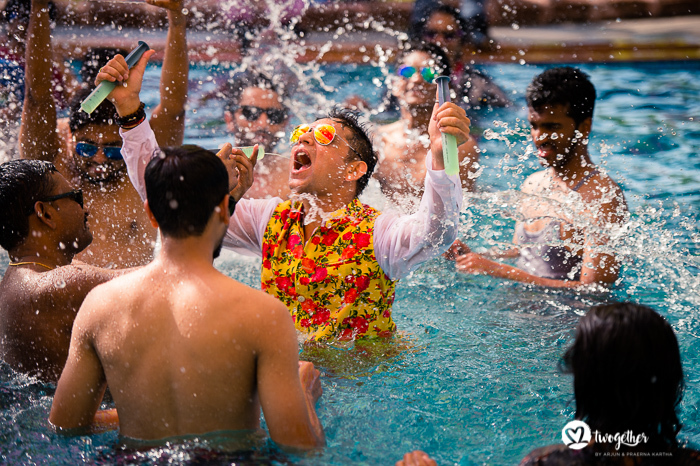 So Goa was a natural choice, where their respective families from Pune and Bombay could come in and stay with them for the course of a 3-day fun-packed wedding. 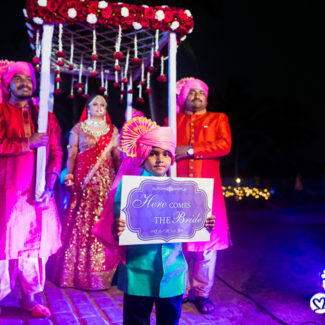 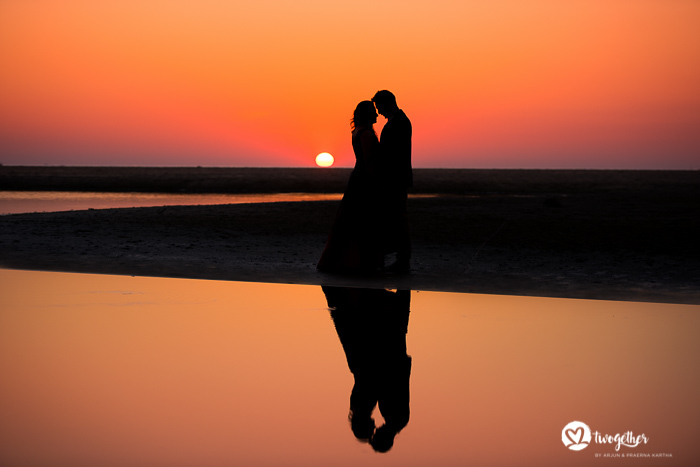 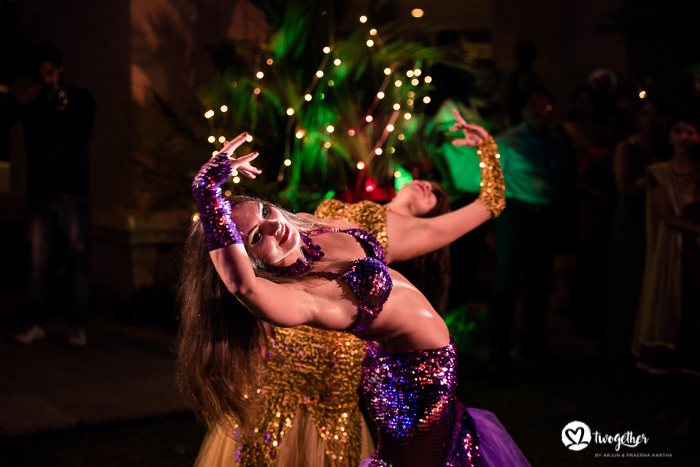 They decided to host their families and have their wedding at the beautiful Zuri White Sands Resort – booking out most of the hotel so they could enjoy themselves to the utmost degree. 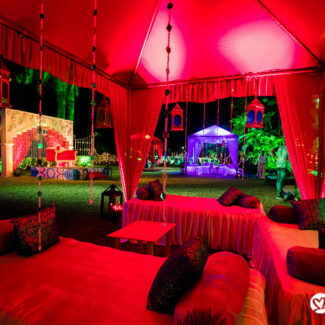 They planned it all, from a grand welcome for the families to a Moroccan themed night with dancers and Hookahs for their Engagement evening; from a combined bride+groom Haldi with pichkaaris and water buckets to a poolside mehendi (which turned into a pool party with everyone jumping into the pool in all their wedding finery); from a Bollywood themed Sangeet Cocktail to a Beach-side wedding, Ramola and Santosh planned it all. 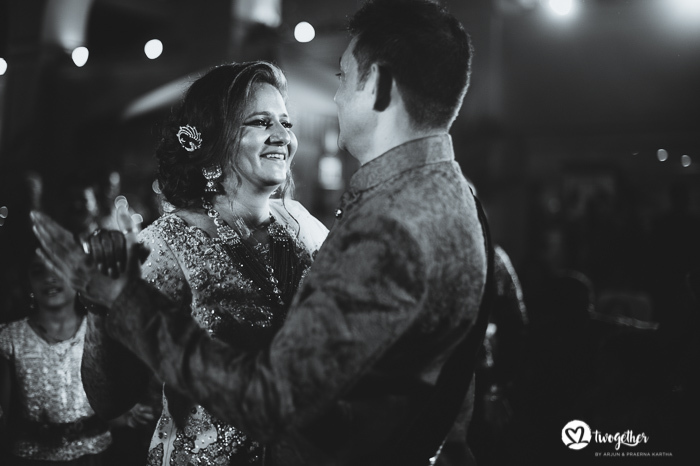 They thought of the fun, the time to be spent with their families and the memories that everyone would take away from the wedding. 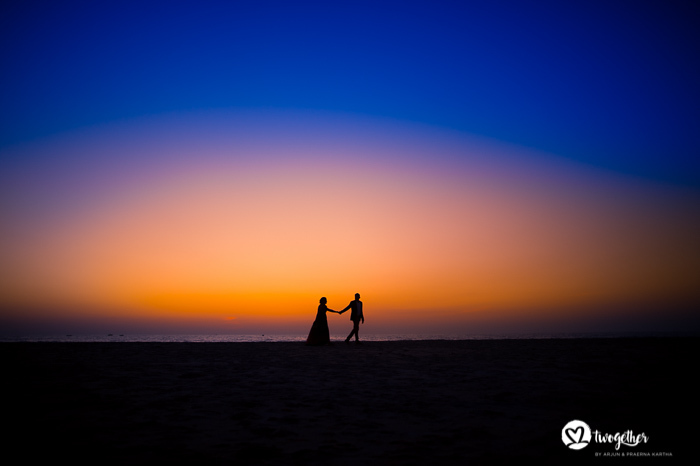 It was all just perfect. 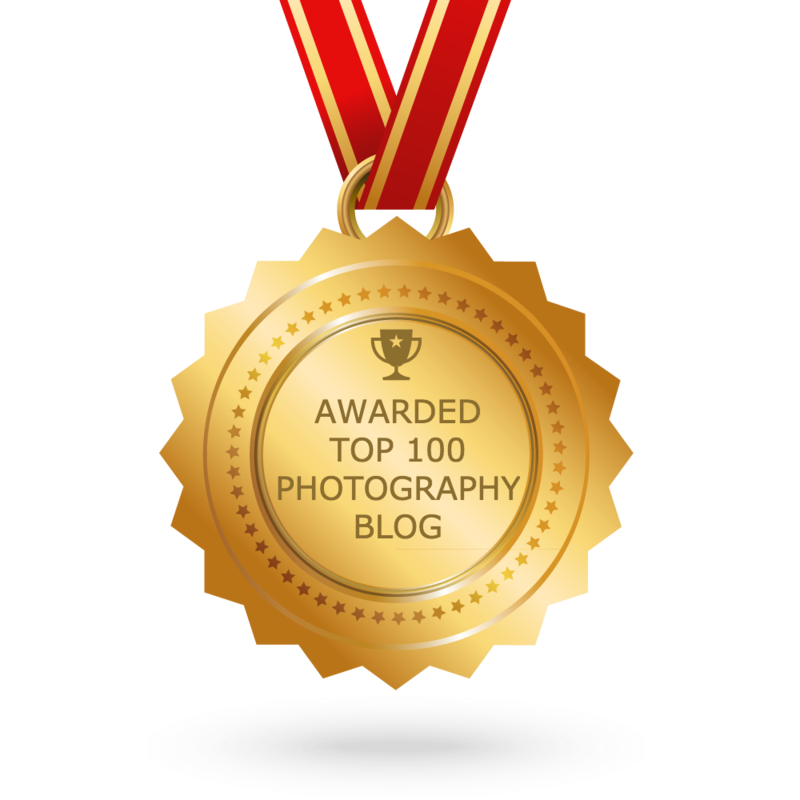 (Click on any image to enter slideshow mode). 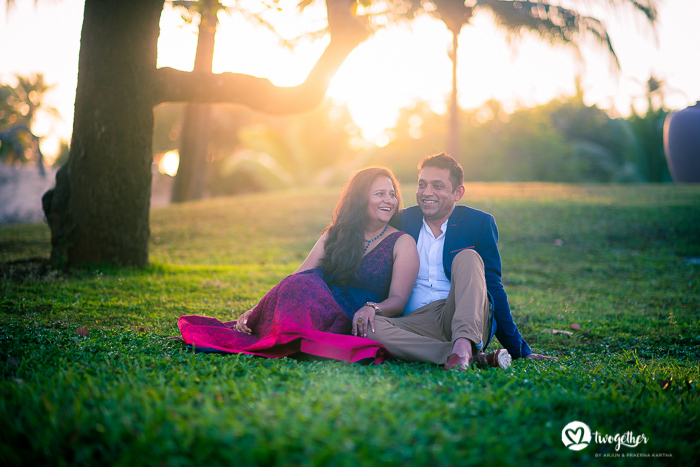 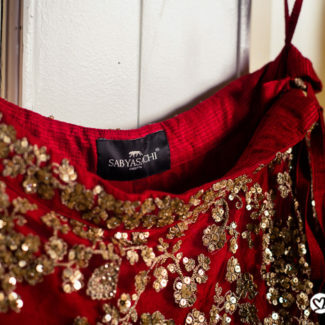 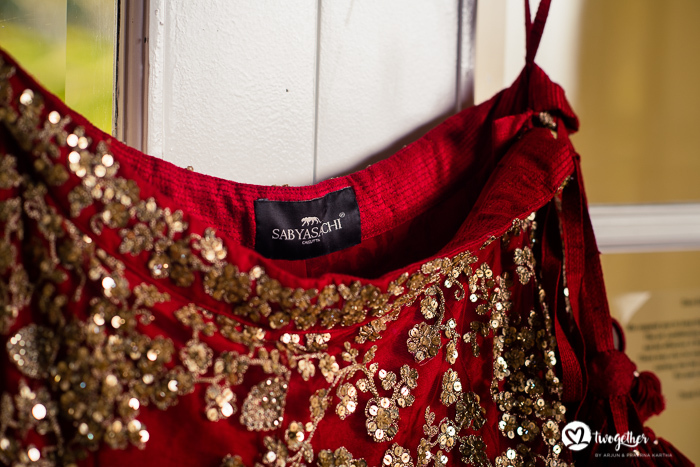 A Lifetime of Happiness ~ Ramola + Santosh from Arjun Kartha Photography on Vimeo. 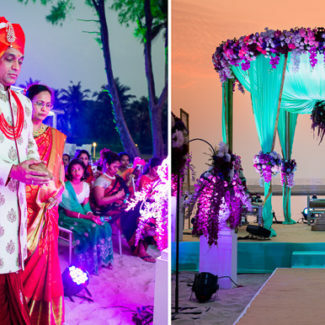 This is a Goa Destination Wedding Photography Story. 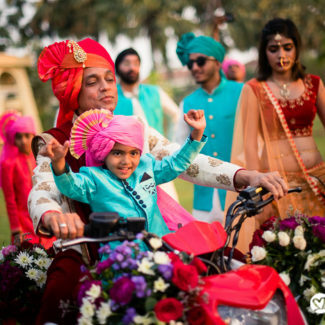 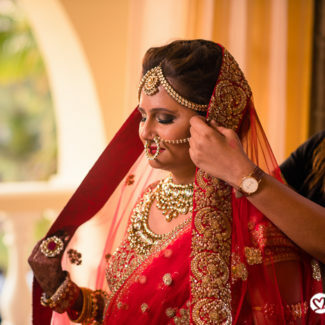 As Indian wedding photographers we have had the opportunity to travel to many wonderful places in India like Delhi, Chandigarh, Jaipur, Udaipur, Kovalam, Bangalore, Mumbai, Pune, Kochi and so on. 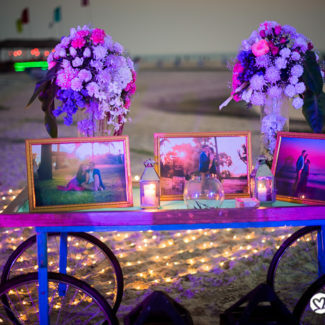 Weddings have even taken us overseas to beautiful destination wedding photography spots like Brooklyn New York, Malaysia, Langkawi, Kaula Lampur, Thailand, Hua Hin etc. 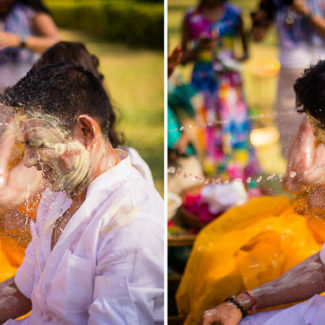 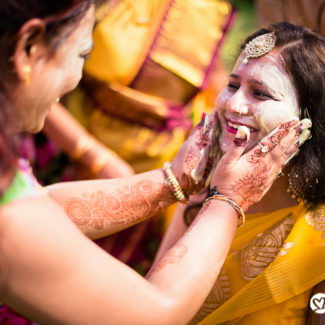 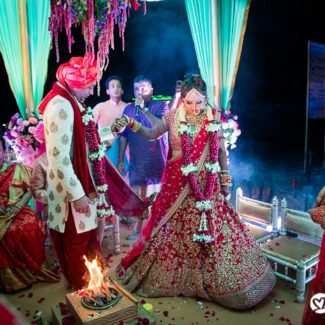 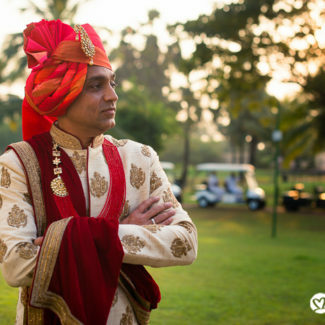 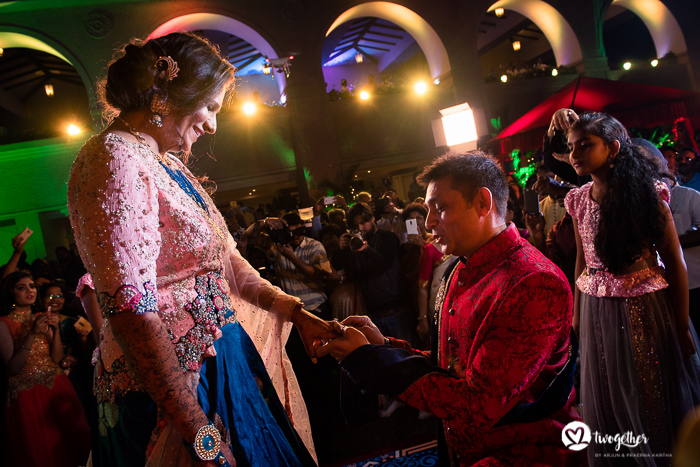 Read each Indian Candid Wedding Photography story to know how it all happened! 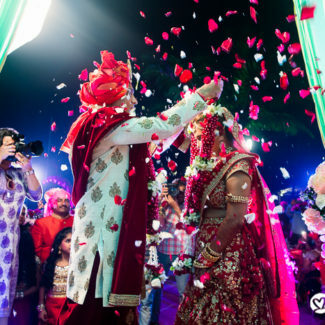 Summer discounts on the Wedding Photography Course! 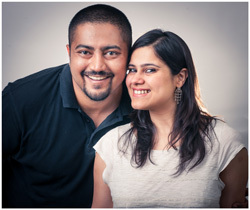 Hello and welcome to our blog! 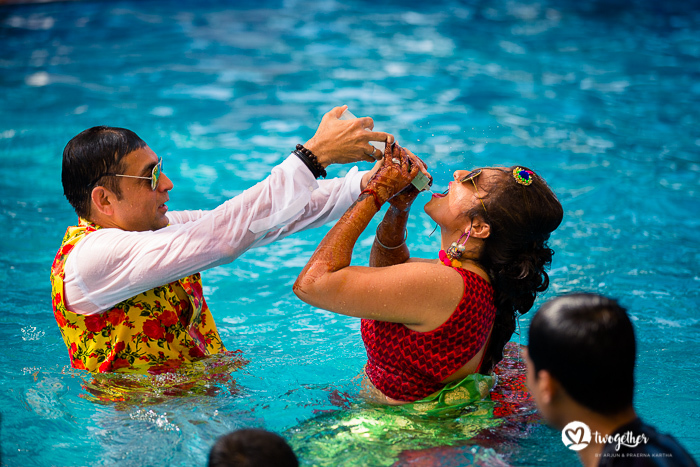 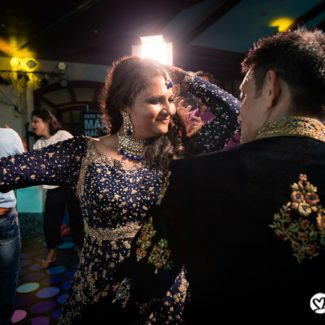 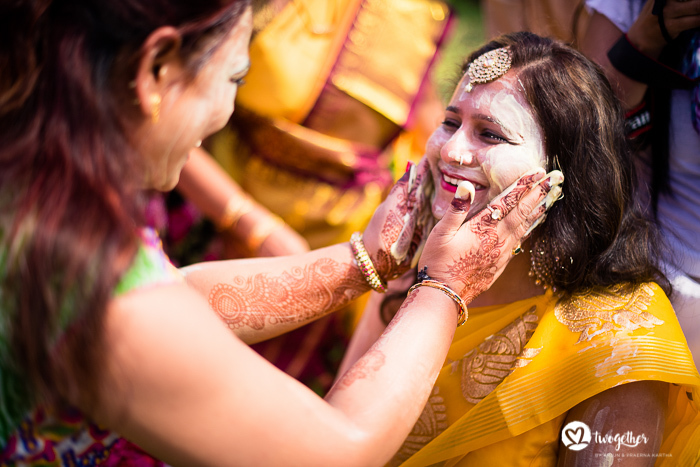 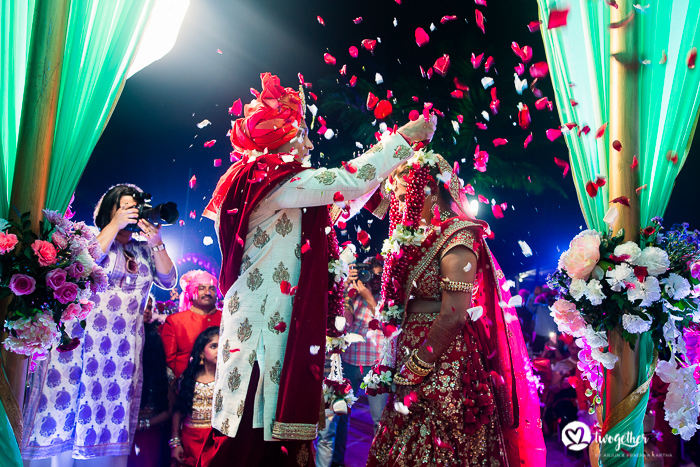 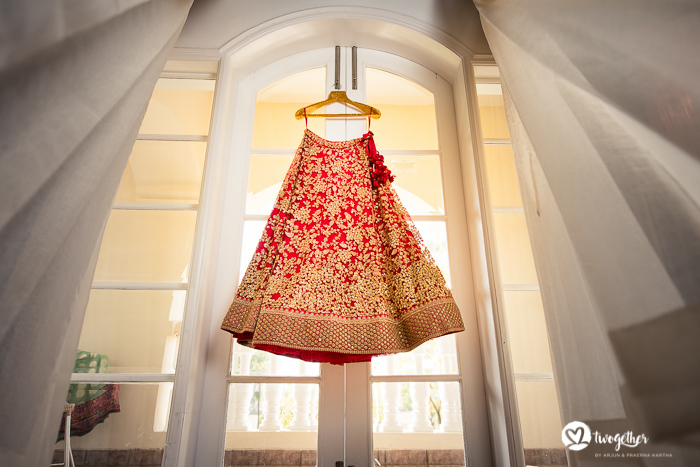 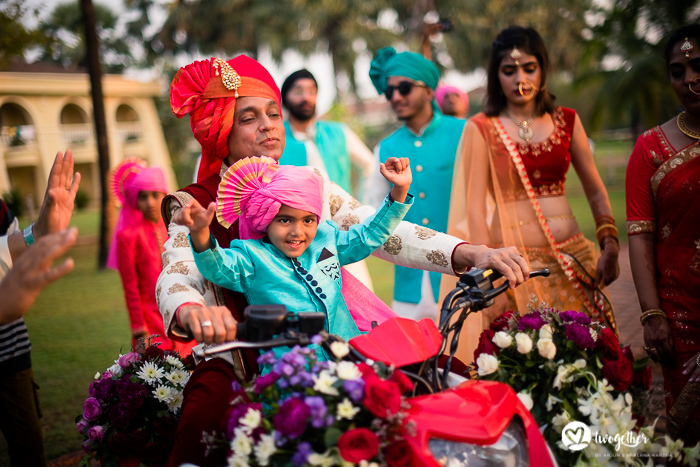 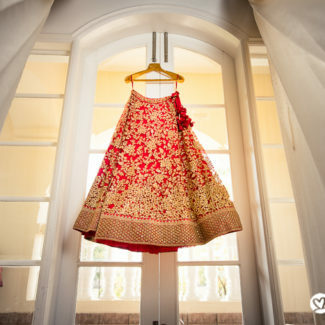 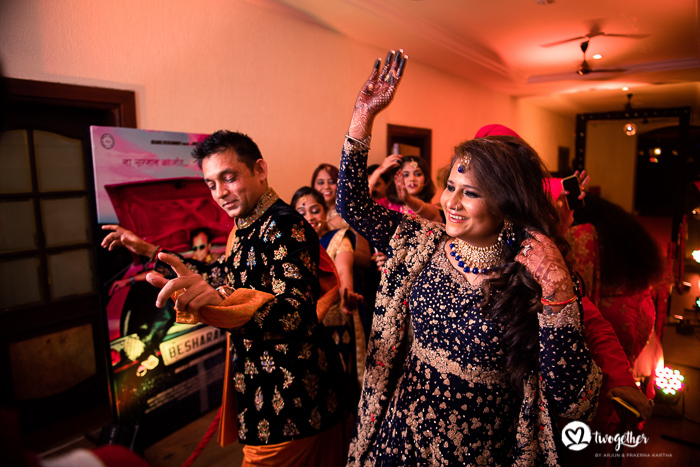 We are an Indian Wedding Photography studio and love creating fun and off-beat images from the world around us. 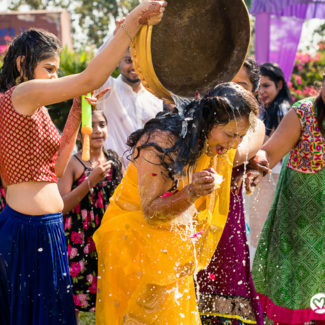 We love writing about weddings we've shot, tips and tricks for brides as well as photographers and fun insider-secrets about the wonderful world of wedding photography. 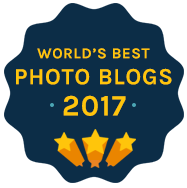 Our blog is ranked amongst the top 100 photography blogs in the world and the only one from India. 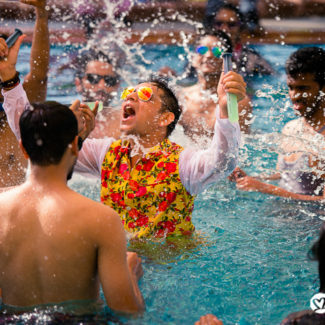 Subscribe using the form below to stay updated!